Wiki pages: This is the best option for text, but difficult to brand and design to your liking. Web part pages: Web parts are great for listing data, but offer rigid web part zones for design. Publishing pages: This is great for branding, yet requires a ton of effort to create a master page, layout pages, and build your actual pages against that layout. The result…most out-of-the-box SharePoint Intranet sites are simple, cluttered and are built around a text-based design. And more often than not, valuable and engaging content that could potentially connect employees and build an internal community gets lost. For many companies, this doesn’t quite cut it. Not only does it result in boring and lackluster ways of communication, it can also take up a ton of time and deplete valuable resources. 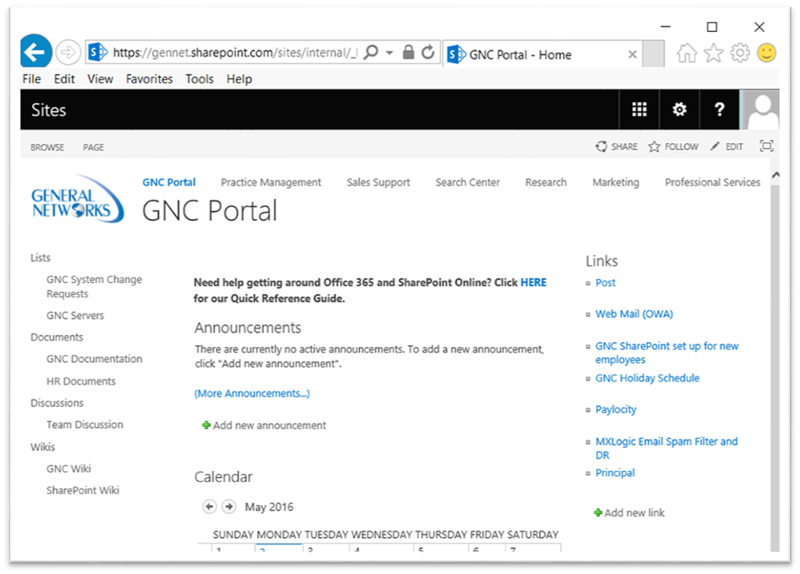 As outlined above, using SharePoint out-of-the-box can present some limitations on what your intranet can communicate to your internal teams. A LiveTiles project implementation from General Networks can help conquer those hurdles. General Networks also gives you the option to choose your LiveTiles package offering. See which one is best for your organization. If you have any questions along the way, we can help! Contact General Networks info for more information.